My dearly beloved daughter, I embrace you tightly, within My Bosom, as you endure this pain in union with Me. My children, and especially My followers, feel a tenderness towards each other, which they cannot explain. They may be strangers, living on opposite sides of the world, yet the love they feel is My Love. They love each other as natural brothers and sisters do in any loving family. I Am the Light that creates this spontaneous love, which brings souls together. It is My Holy Spirit, which unites all of God’s children together as one family. You, My children, are My family. The Holy Trinity heads up the family, and when your love is pure and humble, you are automatically part of this holy family. Love of the Father is through Me. 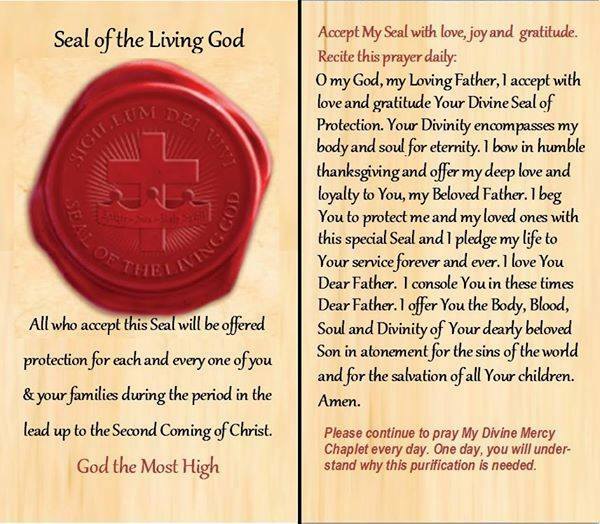 When you love Me I will take you into the Arms of My Father who will place the Seal of Protection around you and your family. My Heart is tender, as I witness with joy, the love that you have for each other. You bring Me such comfort from the torment that I have to endure, as My poor children in war torn countries are being persecuted. Unite with Me now, so that My family of devoted followers will join as one, no matter what their background is or what country they come from, in order to conquer the hatred in the world. Love is more powerful than hatred. Hatred is diluted if it is responded to with love. If someone treats you unjustly, you must respond with love, and Satan will cower in pain. If you feel tempted to seek revenge on those who hurt you, then you must pray for them, forgive them and show them love instead. Love, which permeates through My family on Earth, is a very powerful force. You must never believe, for one instant, that hatred can defeat love. The power that hatred wields, although ugly and painful to witness, can be defeated through the power of love. How can love weaken hatred in the world today? Prayer is the answer. Love Me. Listen to Me. Respond to the requests of My beloved Mother and Me, her Son, through the various prayers given to you. Here is a special Crusade Prayer for the unification of God’s children. “O dear Jesus, unite all Your beloved followers in love, so that we can spread the Truth of Your promise for eternal salvation, throughout the whole world. We pray that those lukewarm souls, afraid of offering themselves to You in mind, body and soul, will drop their armour of pride and open their hearts to Your Love and become part of Your holy family on Earth. I love you, children. You must never feel disheartened when you see the wickedness around you.Your prayers can dilute this wickedness. Your love will defeat it.